Welcome to the Freedom from Obesity website. Dr. George Merriman, along with all of our staff, are so glad that you've decided to take this next step on the path to good health and a happy body. 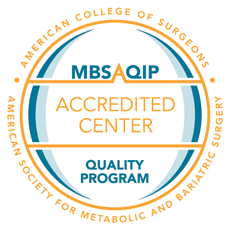 It is our honor to serve patients with support and weight loss surgery from the Monroe, Louisiana area. For gastric banding, bypass and other weight loss surgery serving Monroe, Louisiana, come to Freedom from Obesity. It will be our pleasure to assist you, and help you enjoy life with a happier, healthier body.